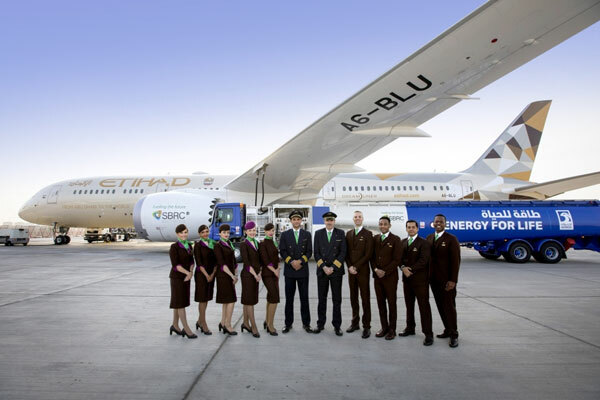 Etihad Airways has become the world's first airline to fly a commercial flight using locally produced sustainable fuel derived from plants grown in saltwater. The landmark flight, operated by a Boeing 787 and powered by GE’s GEnx-1B engines, flew from Abu Dhabi to Amsterdam, marking a major milestone in the development of a clean, alternative aviation fuel to reduce carbon emissions. The biofuel was produced in the UAE through the Sustainable Bioenergy Research Consortium (SBRC), a non-profit entity established by Masdar Institute, part of Khalifa University of Science and Technology. The special fuel was derived from oil in Salicornia plants, which were grown on the two-hectare Seawater Energy and Agriculture System (Seas) farm in Masdar City. Tony Douglas, group chief executive officer Etihad Aviation Group, said: “This is a significant milestone for the UAE and its key industries. Etihad is fully committed to this project which demonstrates a successful proof of concept that is local, viable, cost-effective and sustainable." “Decarbonisation is important across the aviation industry and, together with our partners, Etihad is proud to be at the forefront of this pioneering new research,” he said.